Thesis (M.A.) from the year 2008 in the subject American Studies - Literature, grade: 1,0, University of Frankfurt (Main) (IEAS), 135 entries in the bibliography, language: English, abstract: "The past is never dead. It is not even past" (Faulkner 1976: 81), the lawyer Gavin Stevens unforgivingly says to Temple Drake in William Faulkner's Requiem for a Nun during the trial against her maid Nancy, who is accused of killing Temple's child. Temple has told him, "Temple Drake is dead" (ibid. 80) to emphasize her allegedly changed and improved self and to express her determination not to take any responsibility for her actions in the past. She wants to put everything that has happened behind her and open a new chapter in her life. Stevens can neither accept nor understand such an attitude. For him, Temple's plan to entirely leave the past behind is futile and impossible to ever become reality. Nothing is ever forgotten or overcome, and the past will influence and haunt anybody trying to escape. The past not only won't but can't be subdued. 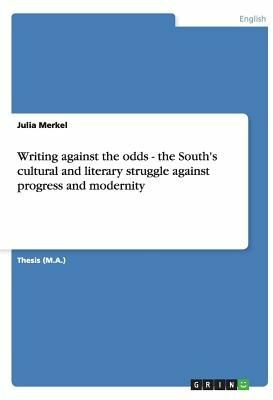 The ever-reappearing topic of the past overshadowing the presence and determining the future is a Southern subject par excellence. A persistent urge to look back and an almost loathing attitude toward progress and the modern way of life and fast-paced society are omnipresent in Southern culture, literature, and life. Author Allan Gurganus says about his childhood and youth in North Carolina in the 1950s that it was like growing up in the nineteenth century. The South's past is in its present almost to the point of complete denial of the latter (see Grant 105f.). The Civil War and the Reconstruction Era left the South economically and culturally isolated. But the War Between the States only finished what had started much earlier. The Southern claim to a special position, its feeling of moral and cultural superiority and distinctiveness, and its chosen isolation have its roots as early as in the beginning 18th century. These feeling.